Congratulations to the U-14 Kilrush Askamore Football team who had a great victory over Geraldine O’Hanrahans on Friday evening 25th October in the County Final.The teams were level at the end of normal time, and Kilrush came out on fire for the extra time, finishing up the victors. Congratulations to their mentors Maria, John, Pat and Tom, a great ending to a busy season. Hard luck to the Minors who lost out to St. James the previous Saturday. Thanks to all players and mentors of all the teams,who have given us such great sporting games over the year. Thanks especially go to all parents and guardians who have transported the teams all over the county. Texts will be sent out regarding the presentation night, and the AGM of Kilrush Askamore Óg. 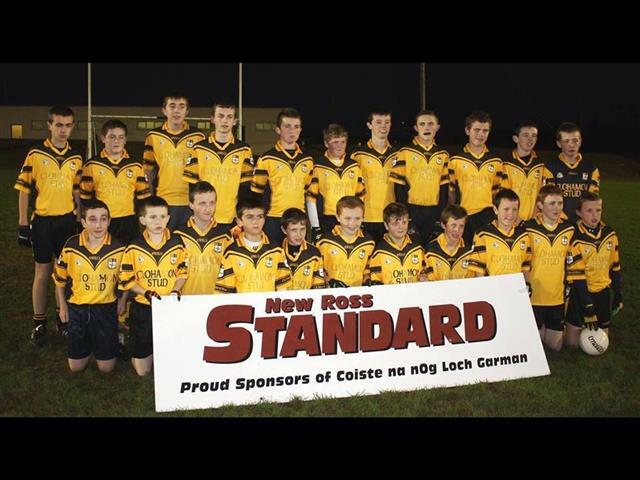 Hard luck to the Minor football team and the Under-14 hurling team who both lost their county finals over the weekend. Both teams played very well but lost out on the day. Minor hurling semi-final is on Saturday 19th at 1 o’clock in St. Patrick’s Park and the Under-14 football county final on Monday 21st at 7 o’clock also in St. Patrick’s Park. We wish them both the best of luck. Congratulations to the intermediate Kilrush hurling team on winning the Tom Rath Cup on Sunday. Well done also to the Under-10 hurlers who played a fantastic game against Craannford before the Final. There was a great turnout and a great day was had by all. U-14 hurlers lost to Liam Mellows last week. No game this week. U-14s semi finals of hurling and football…no dates yet…watch this space. The U-10 footballers play Kilinerin in the final of the Kent Competition on Wednesday evening at 8 o’clock. All support welcome. They also play Shamrocks on Friday evening in Ballyroebuck. Anyone with Lucozade Sport or Lucozade Lite tops please leave into mentors. Good luck to everyone in their matches this week.